Malaysia’s Hong Leong Group property arm, GuocoLand (China) Ltd (GLC), is set to go bigger into integrated development in China from its early years of single building projects when it first set foot in that country. GLC managing director Violet Lee said that after GLC’s flagship project, Guoson Centre, won the Best International Mixed-Use Development award last week in London, she was positive that integrated development was the way to go for the company. Taking the prize at the International Property Awards had given her more confidence to continue with even bigger integrated development projects, she said. “Over the years, we have transformed from single building projects to mega integrated projects of 100,000 sq metres, 600,000 sq metres,” she said. “The next project in Beijing is going to be 1.4 million sq metres and in Tianjin 1.2 million sq metres, even bigger, double the size I am doing now,” said Lee who initiated the Guoson Centre development. She said that after winning the award, at least she knew that she was doing the right thing and that she had been recognised for producing quality products. “So if I continue with this development, this way of doing things I should not be wrong,” she said, adding that GLC’s focus would be on integrated developments in the years to come. GLC’s developments are in prime locations in Beijing, Shanghai, Nanjing and Tianjin. Lee said that to-date GLC, which was established in 1994, has a land bank of some 2.5 million sq metres valued at over US$3.5 billion in Beijing, Shanghai, Nanjing and Tianjin. “We are not intending to move out of these four cities. They will always be within these four cities,” she addded. The award winner Guoson Centre is a sustainable and fully-integrated development brand in Beijing and Shanghai. Comprising a large-scale cosmopolitan Guoson Mall, five-star British-styled Guoman Hotels, Grade A Office Towers, high-end residences, and expansive Singapore-inspired “Garden City” landscaping, the Guoson Centre combines aspects of ‘Work, Live, Play’ in resembling a city within a city. Built specifically on prime locations that integrate two of the largest transportation hubs in the world, Guoson Centre is set to provide local, national, and global interconnectivity while satisfying the market’s needs for eco-friendly environments and cosmopolitan lifestyles. The centre is strategically located to provide easy access to some of the largest transportation hubs in the world, connecting urban, national and global centres. Lee said that the US$2 billion 600,000 sq metres Beijing Guoson Centre is 90 per cent completed while the slightly smaller US$600 million Shanghai centre is on its first phase. The US$80 million Guoman Hotel Shanghai, which is located within the Shanghai Guoson Centre, is already opened for business while the Guoman Hotel Beijing will open in July next year. She noted that two years ago when China hosted the Olympic Games a lot of money were thrown into the hospitality business, with hotels sprouting out everywhere coupled with entertainment complexes, restaurants and malls. Similar facilities also emerged during the recent Shanghai Expo which was held from May 1 to Oct 31. “When we march into a hotel, no bell boy to take your luggage, you walk to the front desk and they are talking on the phone and do not even want to look at you, I don’t think you would want to go back to the same hotel. “So is there a market for hotels? The answer is yes, Despite the competition, there is a market. But you have to differentiate yourselves from the rest of the people in the industry," she said. So how is this done apart from having products that are spectacular? “To me, I always emphasise on the different kinds of services. People say in a hotel you are looking for comfort, you don’t want to feel inhibited. You want to be comfortable. You want to know that people are looking over you. Actually in Guoman (hotels) we emphasise a lot on these services." For example, she said that the Guoman Hotel Shanghai opened a few months ago is a “true blue five-star standard hotel” where the design was done from scratch. “From now on all new hotels will be like the hotels in China. Those are our own own hotels we build from scratch. The next one in Beijing, you will see the Guoman signature." Apart from the hotels in Shanghai and Beijing, one is being planned in Nanjing, and there would also be a hotel in Tianjin, she said, adding that all these hotels had and would have the Guoman signature. Britain’s Guoman, which runs the hotels, has a 30-year history in hospitality management. Lee was reported to have said at the launching of the Guoman Hotel Shanghai that with Guoman''s 30-year history in hospitality management and its uniqueness in services, she was confident of the group''s future in the China market. KUALA LUMPUR:UEM Land Holdings Bhd is buying two parcels of agricultural land from Inch Kenneth Kajang Rubber Plc for RM268.5mil to be developed into a township in Bangi, Selangor. It told Bursa Malaysia today it was buying the 463.51 acres of land in Semenyih, Selangor for a cash consideration of RM13.30 per sq ft. It said the indicative market valuation of the land as appraised by Messrs Raine and Horne International Zaki + Partners Sdn Bhd was of RM248.3mil or RM12.30 per sq ft. The group had stated "the scale of the Bangi land, with a total land area in excess of 450 acres, would provide the opportunity for UEM Land to develop a comprehensive and integrated township". The group said it had surplus cash of RM351.5mil as at Sept 30, 2010 and the board intends to fund the requirements through internally generated funds and/or bank borrowings. The Bangi land is adjacent to the Alam Sari township and Universiti Kebangsaan Malaysia, and is within the vicinity of Bandar Baru Bangi. 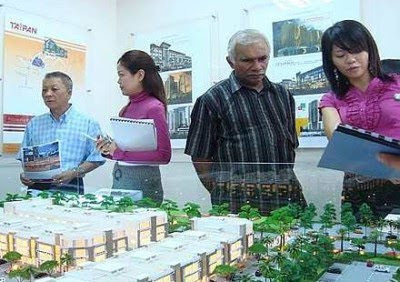 Whilst the Bangi land is currently classified for agricultural land use and is an oil palm plantation estate, approval for conversion to mixed development status was obtained by IncKen in 2007. 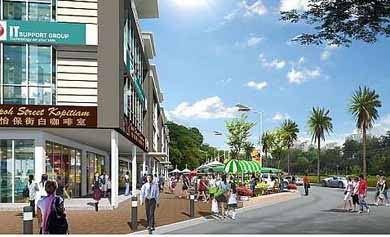 It added that the proposed acquisition was part of its strategic plan where one of the objectives was to secure at least one new township development outside Nusajaya by 2015. This was to enable the group to diversify its development portfolio and revenue sources outside Nusajaya in order to achieve its long term growth strategy. The scale of the Bangi Land, with a total land area in excess of 450 acres, would provide the opportunity for UEM Land to develop a comprehensive and integrated township, it said. The Construction Industry Development Board (CIDB) expects the construction sector to be buoyant next year as projects under the 10th Malaysia Plan (10MP) start to roll out from January. But the government will be cautious in awarding contracts to mitigate the risk of being exposed to a second wave of global economic crises, said CIDB chief executive officer Datuk Hamzah Hasan. Hamzah said the European debt crises and the slow US economic recovery was worrying and many countries are taking steps to reduce their expenditure in order to improve their budget deficit. "Malaysia is taking similar steps in view of the expected crises. The impact will be felt in 2011 as what was experienced in 2009," he said. He, however, said the impact will not be as great as last year due to continuation of projects from the Ninth Malaysia Plan (9MP), new jobs under the 10MP and more public-private partnership (PPP) projects coming up. Under the 10MP, an amount of RM230 billion has been allocated for development, whereby 60 per cent, or RM138 billion, is for infrastructure. Hamzah is bullish the industry will replicate this year's expected growth of 3.7 per cent in 2011. To achieve the target, it would need RM80.3 billion new projects next year, up from RM77.4 billion in this year. 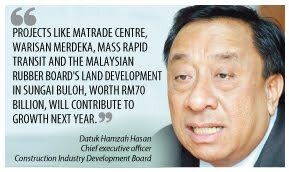 He said projects like Matrade Centre, Warisan Merdeka, mass rapid transit and the Malaysian Rubber Board's land development in Sungai Buloh, worth RM70 billion, will contribute to growth next year. This year, the government has announced projects to the tune of RM72 billion such as the LRT extension, the New LCCT terminal, power plants and luxury housing projects in Iskandar Malaysia. "These are high-impact projects which will improve the business environment and private investment," he said. In 2009, when the global economy hit the height of recession, Malaysia's construction sector was able to grow by 5.8 per cent because of completed jobs worth RM309 billion within four years of the 9MP. "We expect by 2015, the sector will contribute 5 per cent to the country's gross domestic product, from the current 3 per cent," he said. Pantai Holdings Bhd intends to expand its network of hospitals to Iskandar Malaysia with the purchase of six hectares of land in the mixed development area of Medini, Iskandar. An agreement was signed between Global Capital & Development Sdn Bhd (GCD), a consortium led by Mubadala Development Company, and its wholly-owned subsidiary, Pantai Hospital Johor Sdn Bhd. "This development is a key step in establishing healthcare as a catalyst sector in Iskandar Malaysia and will set new benchmarks for quality healthcare to reinforce Malaysia's capacity for delivering world-class medical services to both Malaysians and foreign partners," Pantai Holdings Chairman Khairil Anuar Abdullah said in a statement today. The planned healthcare complex will be built in phases and will eventually comprise a 300 bedded private tertiary hospital, a 150 suite medical office block with centres of excellence to address the healthcare needs of the population.